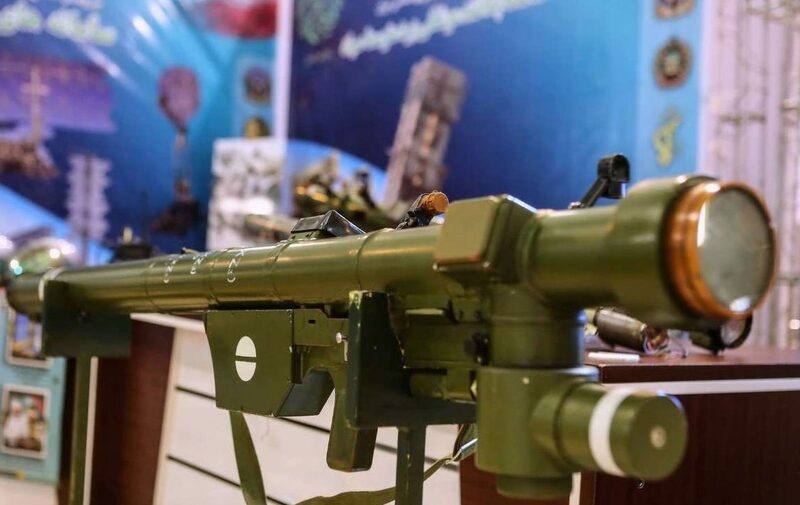 The highly publicized military exhibition in Tehran dubbed Eghtedar 40 has yielded a wealth of details and photos on the different weapons manufactured by Iran. Held in two sites–the mausoleum of the late Ayatollah Khomeini and the Sacred Defense Museum–and publicized by local media, the events under Eghtedar 40 are supposed to commemorate the revolution in 1979 by putting technological “achievements” on display. But while the regime boasts about its deadly missile arsenal and drones, a few lesser known products haven’t received the same attention even as their very existence may have terrible consequences for the Middle East. Indeed, missiles commanded the brunt of news surrounding Eghtedar 40 and for good reason–Iran mass-produces so many different types! A genuine shocker was an inert shoulder-fired SAM, alternately referred to as MANPADS or VSHORAD*, set on a table near other anti-aircraft weaponry. While it can be mistaken for a Russian model at first glance, its appearance doesn’t resemble the current generation of MANPADS that Moscow is exporting. Besides, Eghtedar 40 is an exhibition for Iran’s “achievements” to inspire national pride among citizens. This meant everything shown, whether they’re copied from foreign technology or not, is locally made. This MANPADS turned out to be further proof how far Iran’s state-owned military-industrial sector has come. Rather than an imported weapon system passed off as a homegrown innovation, the shoulder-fired SAM known as “Misaq-3” is undeniable proof Iran is the only country in the Middle East able to manufacture a full catalog of air defense missiles. By comparison, Israel doesn’t manufacture any MANPADS although its larger SAMs enjoy strong demand from abroad. Turkey, on the other, has only gone as far as making parts for the FIM-92 Stinger and is still experimenting with a medium-range SAM. The “Misaq-3” in 2017. Via Iranian media. 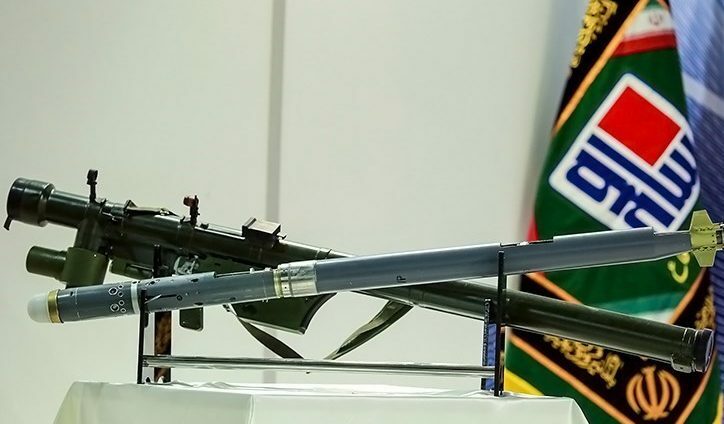 The MANPADS identified by Iranian media as the Misaq-3, or alternately called “Misagh-3,” was first shown to the public in 2017 by members of the IRGC. Its numerical designation makes it the latest in a series of shoulder-fired SAMs manufactured by the Islamic Republic. Contrary to the hype surrounding them, the Misaq/Misagh family aren’t indigenous designs but copies of Chinese MANPADS available for export. The degree of cooperation between Chinese and Iranian armaments companies is always murky but an exportable model under the “QW” designation is the basis for the Misaq/Misagh family. The newest Misaq/Misagh differs from its siblings with a distinct thermal battery (located under the launch tube’s mouth) that protrudes forward. The earlier Misaq-1 and 2 had cylindrical batteries. Based on product literature circulating online, the QW-1/1M that serves as the basis for the Misaq/Misagh family can track targets up to five kilometers away at altitudes reaching 17,000 feet. This makes its infrared missiles a potent threat to drones, helicopters, and ground attack aircraft. Considering Tehran’s unfailing support for its proxies in the Middle East, the appearance of Misaq/Misagh-3’s in any local conflict is another headache for US allies. What isn’t discernible at exhibitions like Eghtedar 40 is the economies of scale for some weapons. Iran’s vast Defense Industries Organization (DIO) has no difficulty churning out basic ordnance such as small arms ammunition and rockets, likewise anti-tank missiles and UAVs. Trying to ascertain how many of the Misaq/Misagh MANPADS have been produced so far, and whether the latest iteration is being issued to the IRGC and regular army in large quantities, is futile at the moment. 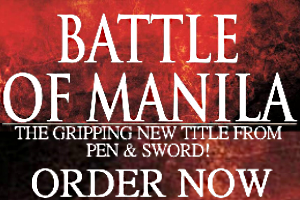 The existence of the Misaq/Misagh-3 shouldn’t be downplayed. Iran’s ability to build its own anti-aircraft artillery, MANPADs, short and medium-range SAMs, and long-range theater air defense systems coupled with radars are genuine capabilities its enemies have to acknowledge. The Islamic Republic might be an economic basket case with evil ambitions, but dreaming of punitive air campaigns against it is probably a fool’s errand. * MANPADS – Man-portable air defense system. VSHORAD – Very short-range air defense.